First of three summer Festivals for Coachford begins this weekend. Coachford is expecting to host three festivals this year. 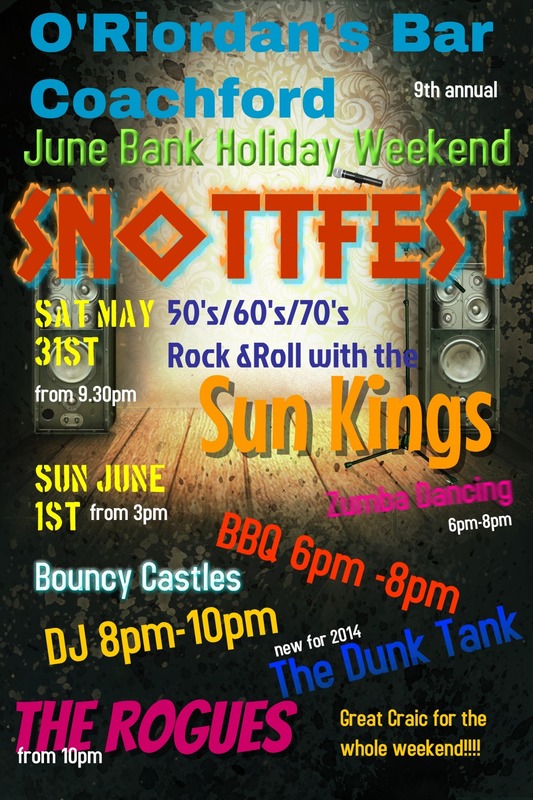 First up is the 9th Annual ‘Snottfest’ hosted by Pat and Loretto O’Riordan at O’Riordan’s Bar Coachford over the June bank Holiday weekend. This weekend event is always very popular and 2014 promises to be one of the best. On Saturday night the superb Rock and Roll Band, the Sun Kings’ play all the hits from the golden era of Rock and Roll in 1950’s America. On Sunday afternoon and evening there will be bouncy castles, a BBQ, an open air disco, a Water Dunk Tank, Zumba Dancing and to finish off the ever popular Rogues will entertain the revelers. Have you the Voice for the Festival? Planning for this year’s Coachford Autumn Festival is in full swing and the organisers have announced some of the programme for the three day event from August 15th to 17th. The Athletics Association of Ireland Coachford 5 mile road race is back for a second year . The run was a huge success last year with over 200 runners and walkers taking part in the first ever road race. The organisers have named Friday August 15th as the date. Cash prizes are again up for grabs for the winners. The big event on Saturday is ‘The Voice of the Festival’ . Festival Chairman, Tadgh Murphy said “We’ve had ‘Queens’ and ‘Bachelors’ and this year we’re looking for the ‘Voice of the Festival’. We would like business’s and organisations to nominate a singer/singers to take part in this competition on Saturday August 16th. We know that there is a tremendous amount of very talented people in this area and we are looking for the best ones to emerge as the ‘Voice of the Festival’. Enquires on the Voice of the Festival can be made by ringing the secretary on 086 8030086.Other events planned for the weekend include Egg Throwing, Agrilympics, Sheep racing, Vintage Show, Children’s Sports, Funfair, open air music, Model Toy display, Pet Dog show and so much more. 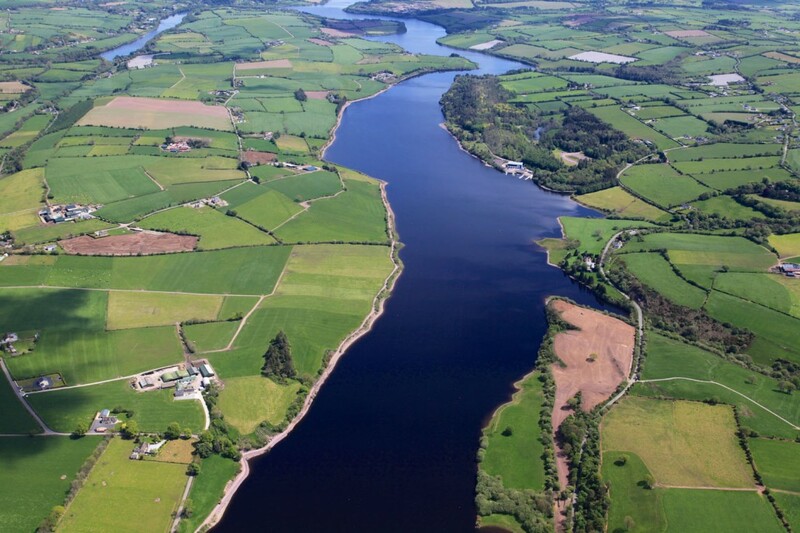 The World Fishing Feeder Championships are coming to Coachford on July 19th and 20th and a week long schedule of events is planned to entertain the visitors and show to them what the area has to offer. There will be teams from 27 countries coming to the area to fish on the River Lee. Many more will come to support their teams and to watch this spectacle. Sky Sports will be covering the event and will be filming in the area. And this is only the start. It is estimated that the stretch of water between Carrigadrohid and Inniscarra dams will host many more international matches each year. A parade of Nations through the village of Coachford is planned for Thursday July 17th. Irish Dancing and an underage hurling match will be some of the activities on offer to portray the culture and sporting traditions of the area. The 5th year art students from Coachford College under the excellent guidance of their teacher Mrs Rita Perrott were awarded 2nd place in the St. Finbarr’s Cathedral Arts Dean Endeavour Award. This was the first time that Coachford College entered the competition and to come 2nd was a huge achievement. Coachford College is well known for its excellence in Mathematics and Science subjects, now their art department is also getting the recognition it deserves and in the process showing how the school offers a very rounded education to all who attend the college. 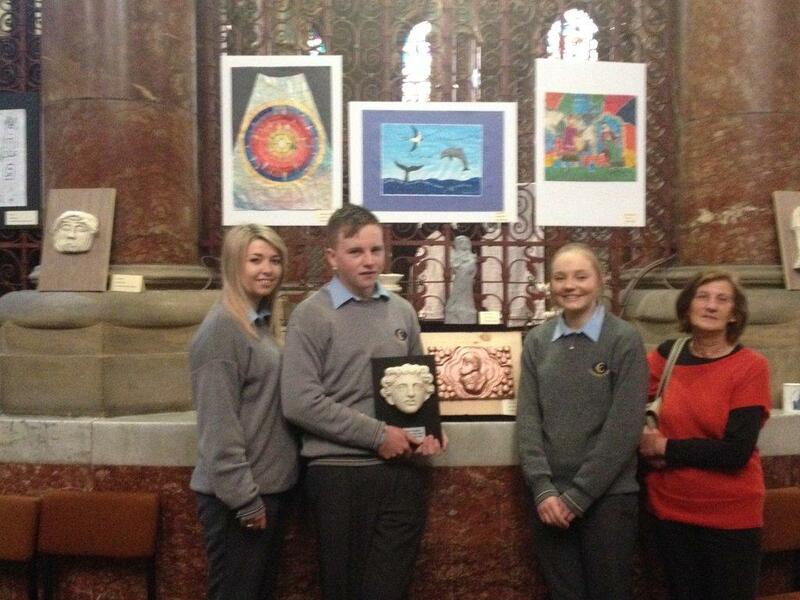 Coachford College winning pieces of art will be on display in St. Finbarr’s Cathedral for the next three months. The five students whose pieces were submitted for the award were Claire Cronin, Leonard Lynch, Edel Tarrant, Abigail Watson & Aaron O’Shea. Aghabullogue Intermediate Hurlers face a tough battle on Sunday when they play North Cork side, Meelin in the first round of the Cork County Intermediate Hurling Championship. The lads have been training hard for the last three weeks and although they have lost their last few league games morale in the camp is good and they will face Meelin determined to win and secure their intermediate status for 2015. The game is fixed for Mallow GAA grounds at 2.00pm on Sunday June 1st. Congrat ulations to Adam Murphy and Luke Casey who were members of the Cork Schoolboys Under 13 soccer team which defeated the Kilkenny representatives by two goals to one last Saturday in Cahir.. Adam started in Midfield and Luke Came on towards the end of the game to help secure this victory for Cork. Rylane National School is celebrating its centenary this weekend. The school which opened in 1914 has served the community well over those 100 years and is one of the focal points of the community. The centenary committee have organised events to mark the occasion beginning on Friday May 30th with old roll books, memorabilia and photographs on display from 7.00pm.. On Saturday May 31st from 2.00pm there will be an informal get together for past pupils and one class room will be furnished with original desks and will portray the lifestyle of the twentieth century classroom. At 7.00pm the official launch of the school’s centenary book will take place. On Sunday June 1st a special mass to celebrate the occasion of the centenary will take place in St. olan’s Church Rylane at 11.00am and at 1.00pm the unveiling of a the centenary plaque will take place followed by a Family Fun Day . An activity Summer camp is taking place from June 30th to July 4th in Coachford College. The Camp is organised and run by Michael Horan and John Flynn, Two Primary school teachers and offers a wide variety of activities—Dodge Ball, Frisbee, Obstacle Courses, Athletics, Table Tennis, Volley ball and lots more. For the younger children, Scavenger hunts, Hoop games and skittles are just some of the many activities on offer. For more information and prices phone 087 3461831 or email jfmhleisure@yahoo.ie. The FAI and Killanardrish/Coachford AFC have announced the dates for their 2014 Soccer Camp in Coachford. The popular camp takes place from July 14th to July 18th inclusive. A huge number of children attended last years camp which was held in glorious sunshine. This year’s camps are again priced at €65 (€55 for additional siblings). They come with the same high standards of coaching and care delivered by Garda vetted FAI Qualified coaches as well as a brand new full kit, ball and back pack. This entry was posted in Useful Numbers and tagged 4th World Feeder Fishing Championships, Coachford, Coachford Village, Coarse Fishing in Cork, Cork, Fishing in Ireland, Inniscarra, Ireland Fishing Championships, Lake, World Feeder Fishing Championships. NCFFI. Bookmark the permalink.